By laser-cooling atoms and studying their movements, a Missouri University of Science and Technology researcher hopes to better understand how atoms and their components are affected and directed by environmental factors. In a custom-built vacuum chamber, Fischer manipulates lithium atoms by trapping them with laser beams in a magnetic field. He then ionizes them with different lasers in a process by which atoms become positively charged due to the absorption of light. 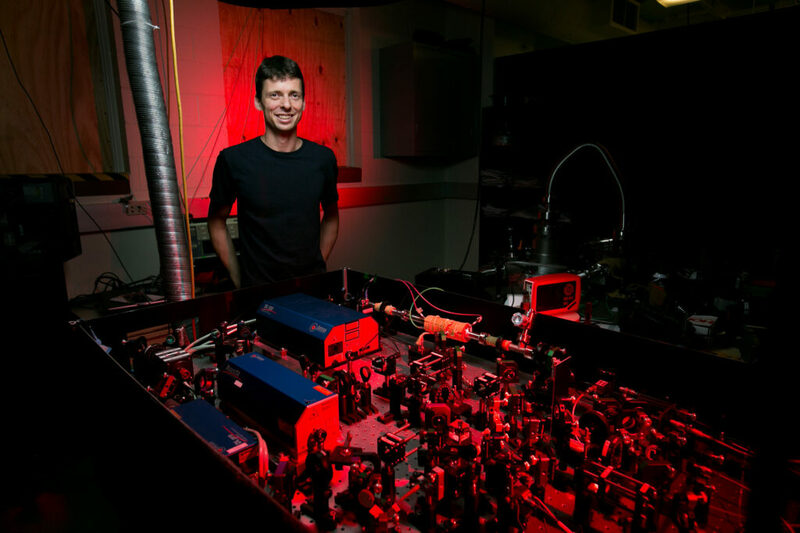 With a high-resolution momentum microscope, he measures the atoms’ velocities and distances, and tests their motion for a large variety of initial states. His tests range from timing the ionization of single atoms to the measurement of energy interchange between atoms in larger groups that are laser-cooled to a temperature just above absolute zero. By doing so, Fischer works to help unravel the “few-body problem” that continues to confound the world of physics. Other fields that would be impacted by few-body prediction are materials science, quantum chemistry, biological science and information processing, says Fischer. 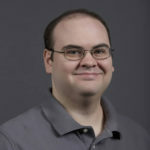 Fischer earned a bachelor of science degree and master of science degree in physics from Freiburg University in Germany. He earned his Ph.D. in physics from Heidelberg University in Germany in 2003. Prior to joining Missouri S&T, Fischer served as a postdoctoral research scientist at the Max Planck Institute for Nuclear Physics in Germany and at Stockholm University in Sweden.